This is the sister pattern to Latticino (and I know Confetticino is not a real Italian word - it’s just for fun ☻). or Christmas 2018 - treats you will be getting a freebie copy. 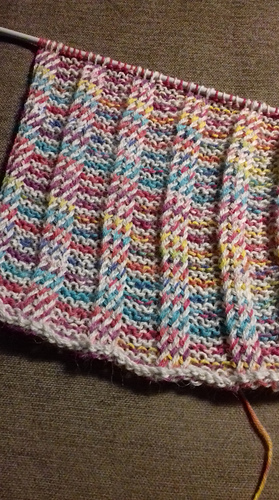 The pattern was designed to use a highly variegated yarn and have its colours sprinkled allover - for this effect you need an MC that matches the base colour in the variegated - you can also work with 2 completely contrasting colours - check out the projects linked to this pattern and also to Latticino if you are looking for inspiration. 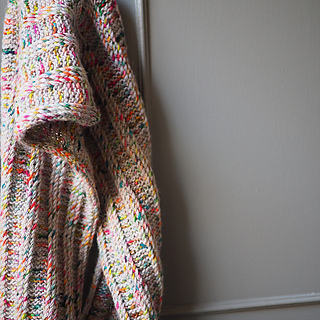 One of the testers, carolsumie is actually making a gorgeous version with a yarn called “confetti”. Many thanks to all the testers.